OKLAHOMA CITY (February 28, 2019) - A growing alliance of Oklahoma City residents and organizations today announced support for a MAPS 4 proposal to connect south Oklahoma City to downtown through a cultural, entertainment and sports district anchored by a City-owned multi-purpose outdoor entertainment venue. The proposal calls for the City to include the venue in the MAPS 4 program, on which residents are expected to vote later this year. 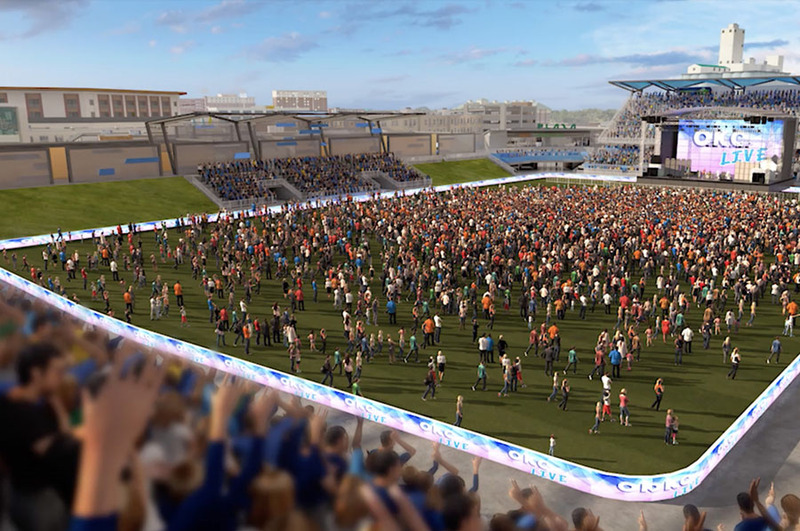 Such a venue would allow Oklahoma City to compete for numerous outdoor events including professional soccer matches, rugby and lacrosse games, high school multi-sport rivalries including Oklahoma State Championship Football games, national performances and a host of outdoor concerts, events and exhibitions. 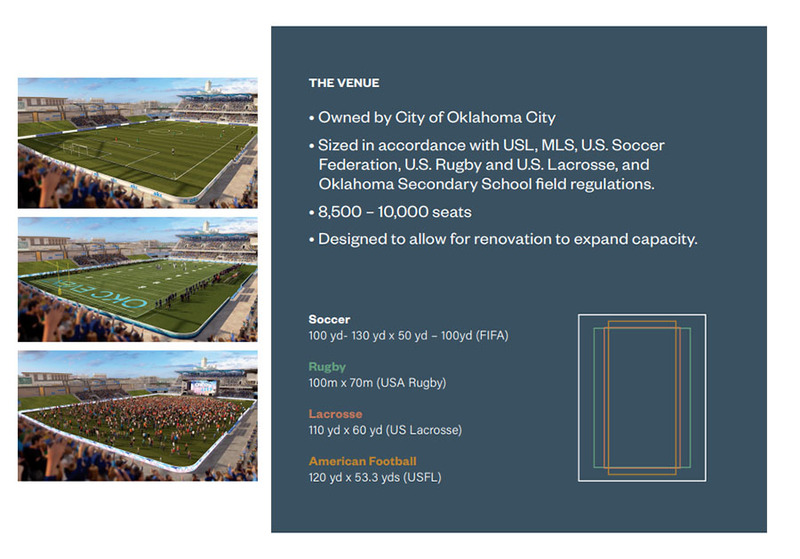 The outdoor venue would be sized in accordance with USL, MLS, U.S. Rugby, Major League Lacrosse as well as Oklahoma Secondary School Field regulations and seat between 8,500 – 10,000 people for sporting events and 16,500 to 18,000 for outdoor concerts. 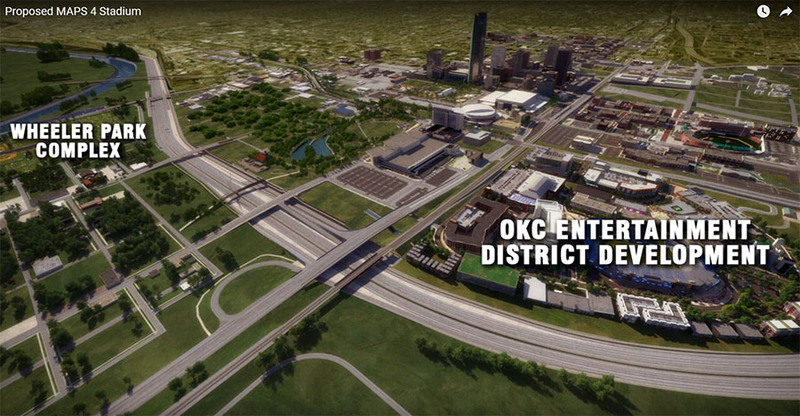 It would be designed to allow for renovation to expand capacity, much like the Ford Center which later became Chesapeake Arena. 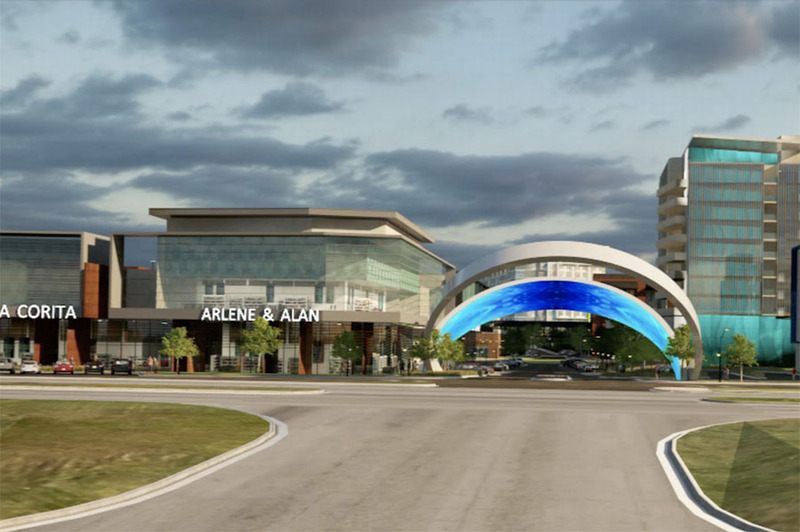 The City-owned venue would also serve to anchor a walkable district of diverse, modern restaurants, housing and retail, functioning as the public element of a public -private partnership. 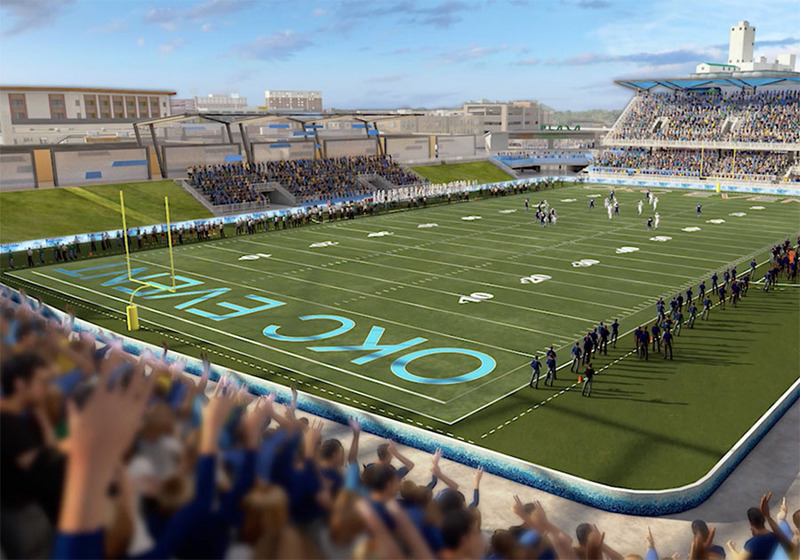 “By funding a City-owned, multi-purpose outdoor venue as part of MAPS 4, Oklahoma City will open the door to private investment to complement the public project,” said Chuck Wiggin, an Oklahoma City-based developer with a 38-year track record of successful investment and development projects. Wiggin further highlighted how Opportunity Zones, as a part of the site selection process, would heighten the appeal for a new category of private investors. These areas, created by the Tax Cuts and Jobs Act in 2017, are designed to spur private investment in designated low-income areas. Much of the City’s Central Business District and surrounding land to the south falls within Opportunity Zone areas. 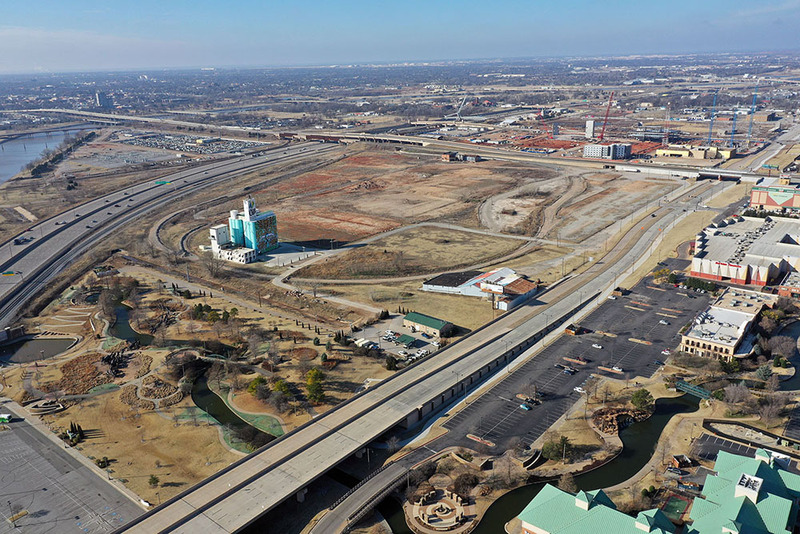 “Designing connections and walkability around destination areas will also serve to strengthen continuity between Oklahoma City neighborhoods, Scissortail Park, The Convention Center, Wheeler Park, Lower Bricktown and the Boathouse District,” Wiggin said. The proposal also underscores that a centrally located venue with close proximity to existing downtown attractions would promote citywide accessibility for all residents. 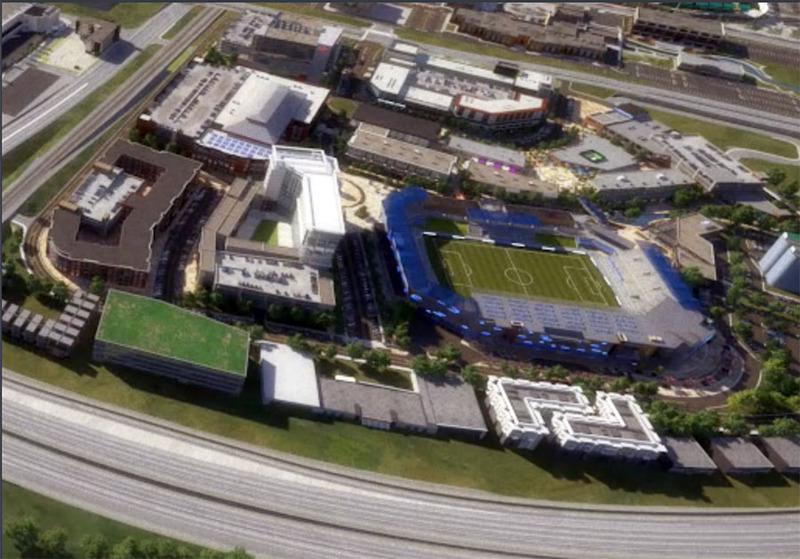 However, the submittal stopped short of specifying a location, opting instead to leave the site open-ended, recognizing the City would ultimately determine a location that best suits the proposal. The group also proposes the City work with Fields and Futures – a nonprofit founded by OKC Energy FC Partner Tim McLaughlin, which is dedicated to keeping youth in school by refurbishing athletic programs and facilities in Oklahoma City public schools – to add up to 10 soccer fields to Wheeler Park to be uses for tournaments that attract visitors to our region, youth development, league play, and engagement events between professional athletes and the community. 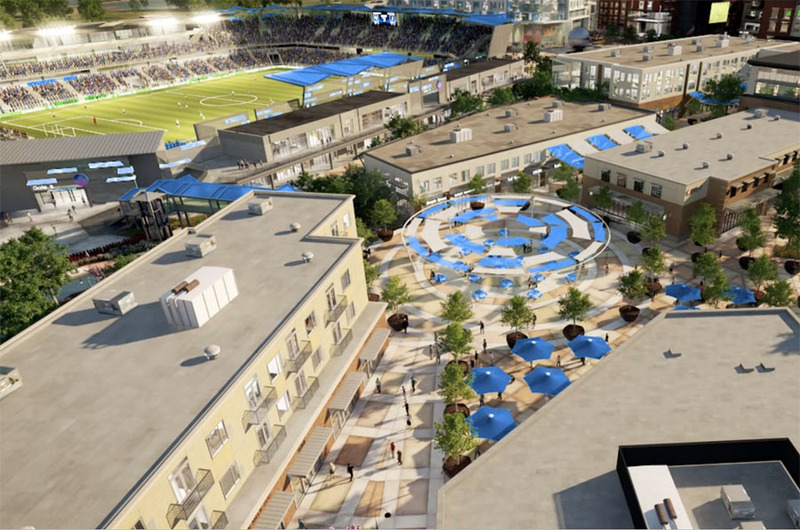 The group identified soccer, rugby and lacrosse as the fastest-growing sports in America, and pointed to a 2018 Nielsen study commissioned by the OKC Energy FC, in which 51 percent of Oklahoma City’s direct market area are interested in or follow professional soccer. The group also pointed to the many missed tourism and sporting event opportunities that Oklahoma City is currently unable to compete for due to its lack of an outdoor venue capable of hosting them. They cited Big 12, NCAA, NAIA and junior college soccer, U.S. Soccer Federation, U.S. 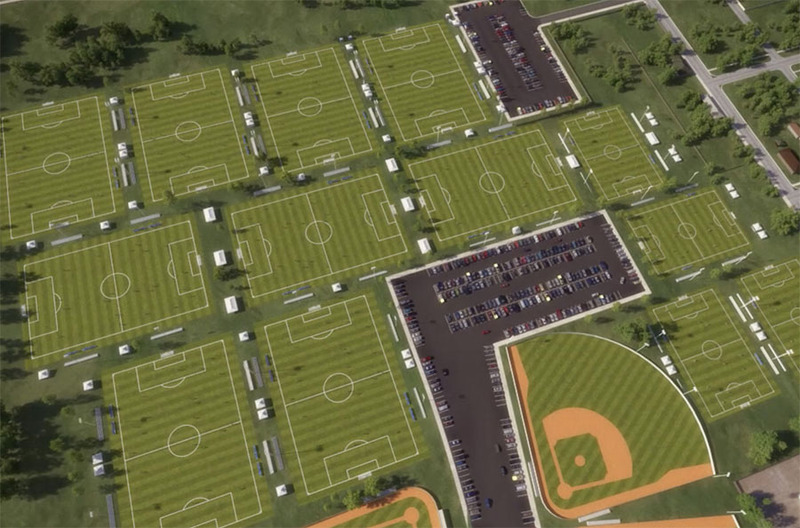 Youth Soccer, college and club lacrosse, international and club rugby, NCAA Dll football games, e-sports and drone racing events Oklahoma City could pursue if such a facility is built as part of the MAPS 4 initiative.